Which One Is Better? Movie Or Book? We all love great movies and they represent a very popular form of entertainment among the general public. Unlike books, movies involve our audio and visual reactions. 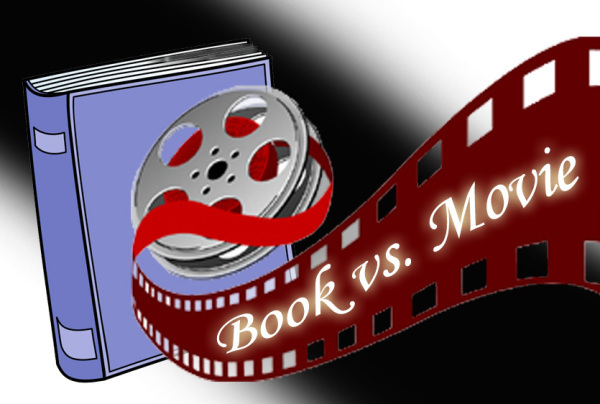 Although many would argue that books are still better because they provide much more detail than movies. In fact, books that we couldn’t put down due to their thrilling suspense could often turn into equally wonderful movies. Many books offer devastatingly honest, funny and charming depictions of human lives. Others could also describe tumultuous relations between people and they often end happily. These books are worth reading and many writers release series that consists of multiple books. In fact, it is impossible to include all the good details in the books into movies. Anyone who has read the original Lords of The Rings books would easily say that the movie trilogy feels like a brief summary that helps them imagine the impressive storylines. Obviously, movie fans would tell us that movies are just as good. Any Harry Potter fans would tell us that they have read the whole novel series over and over again. A scene in the book could be displayed on the screen and it can help viewers understand the story without reading. Movies won’t be great without the scenes that enthral viewers with impressive acting and perhaps a little bit special effects. It’s clear that books and movies have their own ways of entertaining the general public. In fact, many great movies are based on great books. Consumers shouldn’t choose only one form of entertainment. They need to be flexible and open their mind. When reading books, they still need to be prepared to understand all the detail and absorb much more information. They could carefully understand the plot and imagine each description in their mind. In fact, it is not really necessary to rigidly follow the description provided by the writers. Writers actually allow readers to free the mind and imagine the environment described in the book as they wish. When the writer tells us about a large castle with many spires, we could freely imagine it and it shapes. When writers introduce a new character, we could freely imagine how their faces look like. This allows each reader to experience a book differently and they could have vastly different depictions of the storyline; and they are all valid! On the other hand, movies are shallower in detail and they are actually more rigid. The appearance of the characters could meet our expectations, but often they are not. We could argue that these characters are not good-looking or tough-looking enough. However, movies have their advantage of explaining many details without words. Great movies could meet the expectation of readers. The actors and actresses look right and they act convincingly. The environment also matches the description of the books. The special effects also satisfy their imagination. In general, Harry Potter and Lords of the Rings movie series are generally well-accepted because they provide at least passable depictions of the books. They merely confirm the readers’ imagination and sometimes even considered only as supplemental.